BWC Administrator/CEO Steve Buehrer welcomed the 125 attendees and opened the meeting. In his opening remarks, Administrator Buehrer praised the department’s more than 20 years of success, noting that throughout its history SID has generated more than $7 in savings for every budgetary dollar expended. He cited other SID performance results, lauding SID for having annually identified more than $55 million in savings to the State Insurance Fund during each of the last five consecutive years. Pictured left to right: James Wernecke, Jennifer Saunders, Tamela Dixon, Sarah Morrison and Steve Buehrer. 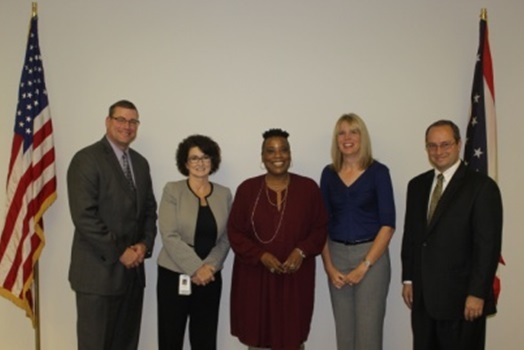 Following these remarks, Administrator Buehrer, Chief Legal Officer Sarah Morrison, SID Director James Wernecke and SID Assistant Director Jennifer Saunders presented service pins to 14 SID employees. These recipients included seven employees with 20 years of service and one, Assistant Special Agent in Charge Tamela Dixon, with 25 years of service to the State of Ohio. Subsequently, SID Director James Wernecke thanked Administrator Buehrer for his executive leadership, ongoing support for SID’s mission, and presence at the annual event. All of members of the Special Investigations Department joined Director Wernecke in thanking Administrator Buehrer for inspiring us to realize our departmental mission to deter, detect, investigate and prosecute workers’ compensation fraud. 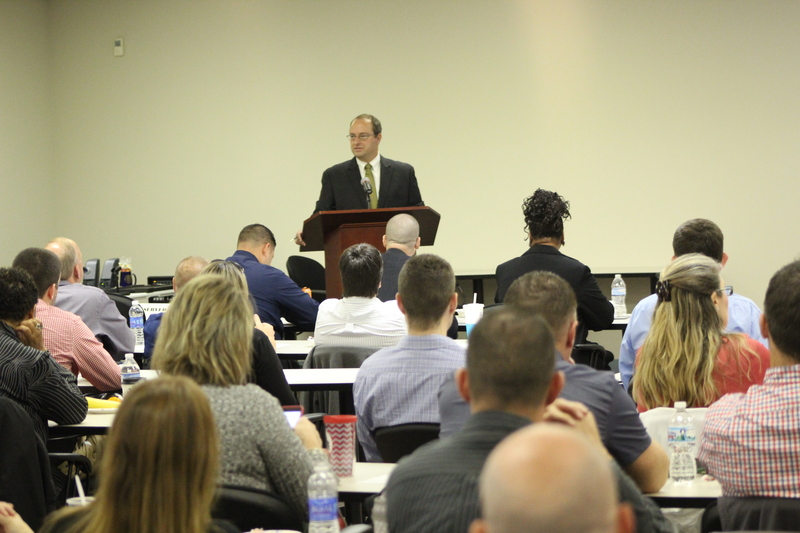 In the coming two weeks, we will offer more details from October 22 training event. Stay tuned for part two of the series, which acknowledges specialized training we received at the event. In the meantime, you can read the past posts about our SID Director here and our most recent annual report here. An agent with BWC’s Special Investigations Department recently testified at the trial of a woman facing murder charges. On Oct. 1, in the Geauga County Court of Common Pleas, Dorretta Scheffield was found guilty of murdering her husband, Randy. SID opened an investigation into Scheffield and her daughter, Beth Rowles, in 2009 after receiving an allegation. Rowles, was receiving benefits for a workplace injury that allowed her to work but required her to report earnings to determine benefit levels. Investigators found Scheffield was writing checks to her daughter, Beth Rowles, for her work as a secretarial assistant at her husband’s company, Scheffield Lawns Inc. The only problem was Rowles wasn’t actually working and Scheffield wrote the checks from the business’s account so Rowles could submit copies to BWC in order to continue receiving her benefits. Both women pleaded guilty in 2013 to felony counts of workers’ compensation fraud and served one year of community control. BWC’s Special Investigations Department (SID) created its college relations program in 1995 to promote the study and practice of criminology, criminal justice, law enforcement and public administration. On college and university campuses throughout Ohio (and beyond), SID staff members exchange insights with students, faculty and staff members on how to combat crime. Since the program began 20 years ago, SID has recruited, selected and trained more than 300 paid interns and unpaid externs. Many have gone on to become law enforcement officers, criminal investigators, special agents, digital forensic analysts, assistant special agents in charge and special agents in charge. We currently employ nine SID interns, many of whom were interviewed for this article. The SID college relations program has expanded to a variety of universities, including The Ohio State University, Ohio Dominican University, the University of Akron, Columbus State Community College, Cuyahoga Community College and Champlain University. The current SID interns work in specialized units, such as the digital forensics, intelligence, security and special investigations units (SIUs). “I liked sitting with each member and having them walk us through what they do and how they do it,” said intelligence unit intern Courtney Kozak. These interns aren’t simply getting coffee or food for their co-workers either; they have many important duties for the SID. As an intern for both the Columbus SIU and the digital forensics unit, Carlos Gonzalez has great deal of responsibilities and duties. “I have assisted with investigations to document fraudulent activities, gathered information for case support, documented research and acquisition, assisted with translation, analyzed internet-based software and collected intelligence using open-source tools to assist ongoing investigations,” said Columbus special investigations unit and digital forensics unit intern Carlos Gonzalez. Many of the interns, such as Jennifer Thomas from the intelligence unit, have deemed their work to be a beneficial experience due to exposure to a variety of areas within the department, such as healthcare and digital forensics. Security intern Brad Horstman appreciated getting the chance to visit the Ohio Department of Homeland Security headquarters as well as the Ohio State Highway Patrol Criminal Intelligence Center. “It was a beneficial experience to get a firsthand look at how these different departments and centers operate,” Horstman said. Most of our current interns are studying criminology and criminal justice, but there are exceptions. One, for example, is double majoring in accounting and finance. Career goals and aspirations are diversified among these interviewed interns. Taylor Scarberry, a college intern on a regional claimant SIU team, wants to work for a federal government agency. Kozak, on the other hand, hopes to eventually become a forensic accountant for a government agency. Horstman is keeping his options open. The SID college relations program has been successful in hiring interns with a variety of backgrounds, majors and career goals who quickly become vital assets to BWC’s efforts to fight workers’ compensation fraud. We use feedback like this from our interns to continually improve our program. If you’re enrolled at a college or university and interested in joining our team as an intern, contact our college relations program coordinator, Jeff Baker. Each year, we furnish an annual report of SID’s performance, strategic initiatives and fraud trends, and this year isn’t any different. The SID team is currently reviewing operations, assessing performance outcomes and tallying the results achieved throughout fiscal year 2015, which concluded June 30. Since fiscal year 2001, this year-end process has culminated in the annual late July publication of our SID annual report. Although we’re still finalizing the latest report, we’re pleased that it appears we will surpass our outstanding results from fiscal year 2014. View the entire 2014 annual report here. SID diligently works behind the scenes. Our investigative staff makes sure that those with legitimate work-related injuries are receiving needed benefits and medical care, and that employers and medical providers are fulfilling workers’ compensation requirements. Those who do not follow the law are handled accordingly. In this upcoming report, we will draw attention to some of our successes in the past year, profile interesting and noteworthy fraud cases, and provide a preview of our new strategic practices and initiatives. The report will also offer achievements of respective teams and task forces, as well as shine a spotlight upon their operational trends and strategies. This year’s report will include a summary of presentations facilitated by SID employees. As we create and finalize the annual report, we continue to deter, detect and investigate fraudulent behavior. On July 1, we commenced the work that will be included in our fiscal year 2016 annual report. Criminals do not take time off, and neither do we. 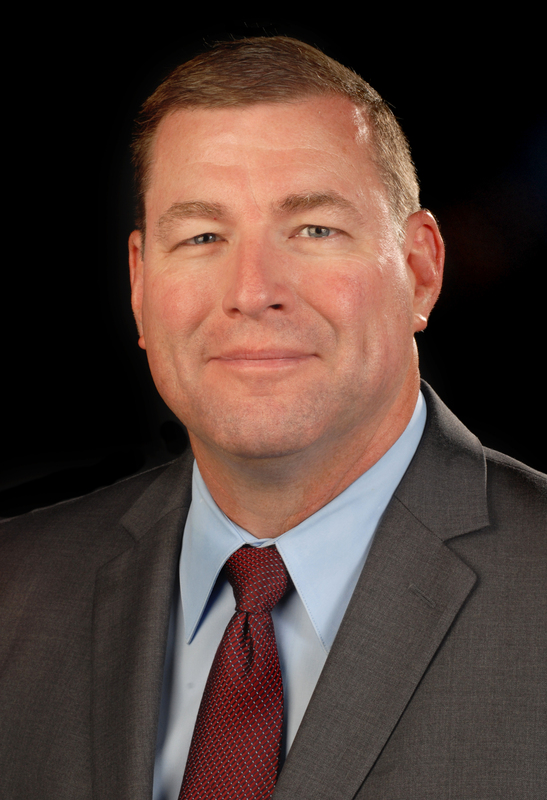 COLUMBUS – Ohio Bureau of Workers’ Compensation (BWC) Administrator/CEO Steve Buehrer today announced the appointment of a 25-year Ohio State Highway Patrol veteran as director of BWC’s Special Investigations Department. James Wernecke began his duties yesterday, overseeing 123 employees who work to deter, detect and investigate workers’ compensation fraud. The department pursues cases of claimant, medical provider and employer fraud by identifying savings, disallowing claims and referring criminal matters for prosecution. A Tuscawaras County native, Wernecke began his career as a trooper in Massillon in 1990 and later served as an investigator in Massillon and Bucyrus, and commander at the Mansfield Patrol Post. He was appointed in 2012 commander of the Ohio Investigative Unit, which is charged with enforcing the state’s liquor laws and is the only state law enforcement agency specifically tasked with investigating food stamp fraud crimes. Agents also investigate tobacco violations. Wernecke served as an investigative team leader with the Ohio Inspector General’s Task Force and was also assistant commander of the Special Operations Office of Investigative Services from 2006 to 2012. Wernecke completed advanced law enforcement and investigative training at a number of law enforcement agencies in and outside of Ohio, including the United States Army War College, the West Virginia and Delaware State Police, the New York State Police Academy, Ohio University and the Ohio State University. He also attended the Northwestern University for Public Safety and North Central State College. From January 2011 to present, BWC’s Special Investigations Department obtained 601 convictions, identifying a total of $260 million in savings for the State Insurance Fund. BWC’s Special Investigations Department speaks to groups about workers’ compensation fraud year-round. You can hear how to identify if workers’ comp fraud is happening to you from our special investigations unit during the 2015 Ohio Safety Congress & Expo later this month, and there’s still time to sign up. The largest regional safety and health conference in the U.S., OSC15 will be held March 31 to April 2. The event aims to help Ohio employers prevent workplace injuries and achieve better outcomes for injured workers. The April 1 session, “Workers’ Compensation Fraud: Do You Know If It’s Happening to You?” will include workers’ compensation fraud statistics, the process for tipsters to identify and report suspected fraud, and case summaries of recently prosecuted subjects. An April 2 session, ‘Safety Violation Investigations,” will cover BWC’s role in investigating potential safety code violations. A full schedule of sessions is available by clicking here. There’s no charge for Ohio employers and their employees to attend OSC15. An Ohio workers’ compensation policy number is required to register.